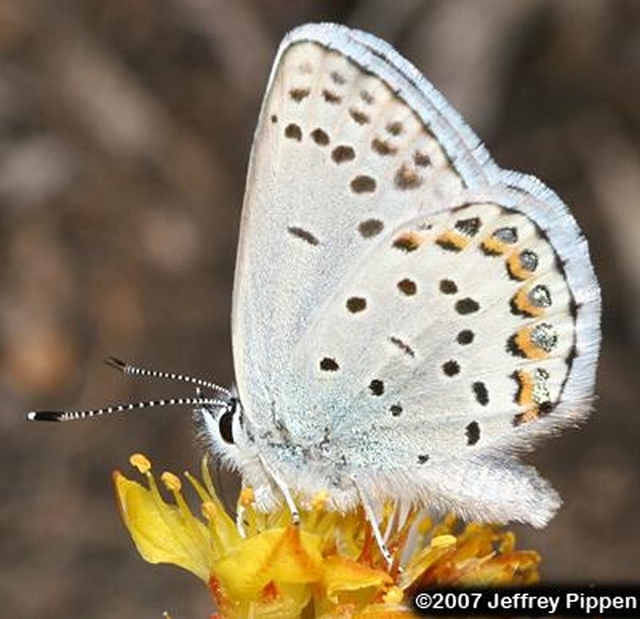 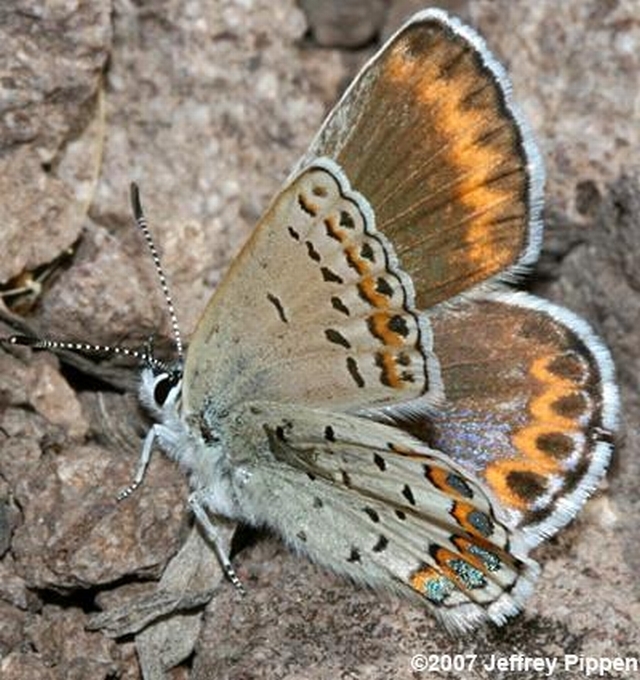 Identification: Upperside of male blue with narrow dark border; upperside of female bright blue with narrow pale markings. 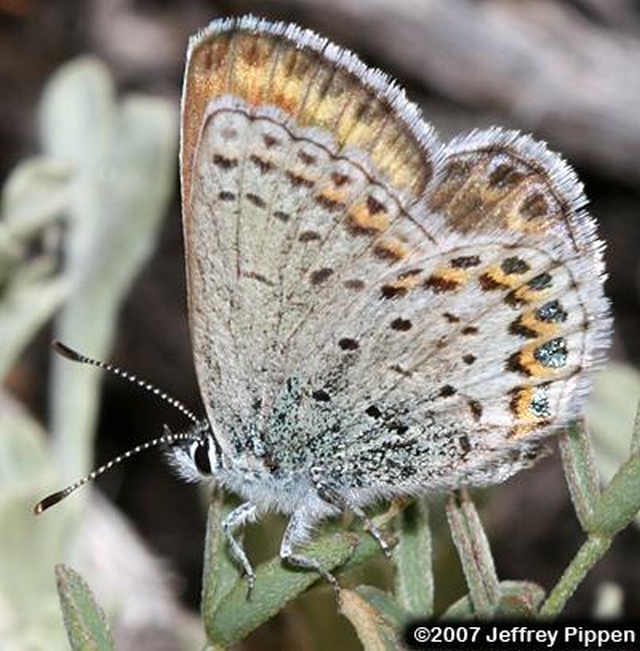 Underside of both sexes is dull gray-tan, with an overcast of greenish blue scales that are strong at the base but decreasing in intensity outwardly. 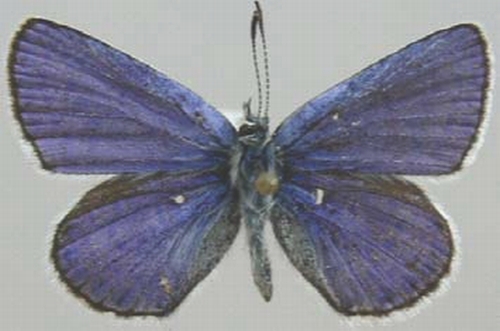 Wing Span: Males 25 mm, females 28 mm.